If you can crow, you can certainly side crow. 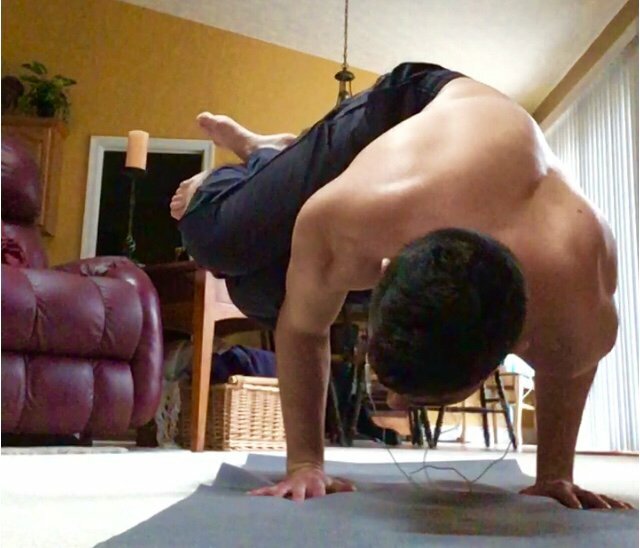 This variation of crow is probably one of the easier ones out there. But the first course of action is obviously getting normal crow down before exploring other variations. Once you do this, you can explore any other variation that exists as necessary. With side crow, the biggest attribute, in my opinion, is balance. Balance in any crow position is more important than strength if you ask me. It may differ from individual to individual, however, because anatomically, we are all different. No two humans are the same, and this spans from physical attributes to biological attributes, and everything in between. One such pose may never become possible for me due to my anatomical and physiological makeup. Needless to say, this won’t hold me back from trying, though. You will eventually get it I am sure! This alone is tough to do and so it should be a great to feel that strength and accomplishment! Thanks for the support, NAI! !